Sukanya Samriddhi Yojana (SSY) is a small deposit scheme for the girl child launched as a part of the ‘Beti Bachao Beti Padhao’ campaign. It is currently (2016-17) fetching an interest rate of 9.1 percent and provides income-tax rebate. 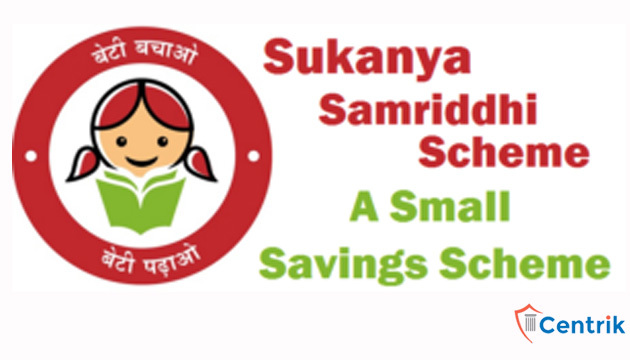 A Sukanya Samriddhi Account can be opened any time after the birth of a girl till she turns 10, with a minimum deposit of Rs 1,000. A maximum of Rs 1.5 lakh can be deposited during the ongoing financial year (FY16-17). The account can be opened in any post office or authorised branches of commercial banks. The account will remain operative for 21 years from the date of its opening or till the marriage of the girl after she turns 18. To meet the requirement of her higher education expenses, partial withdrawal of 50 per cent of the balance is allowed after she turns 18. The government has notified the Sukanya Samriddhi Account Rules, 2014, which came into force with effect from the same day. A depositor may open and operate only one account in the name of the girl child under these rules. One can’t open two accounts for one girl. What is the mode of deposit? The deposit in the account can be made in cash or by cheque or demand draft and an endorsement on the back of such instrument has to be made and signed by the depositor, indicating the name of the account holder and the account number in which the deposit is to be credited. Deposits may also be made through electronic means (e-transfers) in the concerned post office or banks if there is CBS (core banking solutions) availability in them. In case the deposit is made by cheque or demand draft, the date of encashment of the cheque or demand draft is the date of credit to the account, while for e-transfer, it is the date of deposit. How is the interest rate on deposits calculated? The government fixes interest rates on quarterly basis based on the G-sec yields. The interest rate spread that the SSY enjoys over the G-sec rate of comparable maturity is 75 basis points. Interest at the rate, to be notified by the government, compounded yearly will be credited to the account till it completes 15 years. What are the tax benefits available in the scheme? Currently, SSY offers the highest tax-free return with sovereign guarantee and comes with the exempt-exempt-exempt (EEE) status. The annual deposit (contributions) qualifies for Section 80C benefit and the maturity benefits are non-taxable.